The Savannah grass edger die measures 5.5" long by 1" tall. Frantic Stamper Precision Die - Small Oregon Fir. 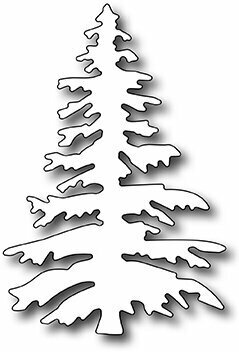 Our small Oregon Fir tree mimics our original Oregon Fir (FRA9078) but in a smaller size. Combine the two sizes along with our Small Pine (FRA9493), our Large Blue Spruce (FRA9444), our Evergreen Forest Edger (FRA9446) and you have everything you need to create a lush forest scene. This tree also makes a wonderful small Christmas tree. Approx. size: 1.6" x 2.375". Now we're talking spooky.... spooky fun that is! This cheeky set of 3 tombstones each has a message from the classic RIP to "Dee Compose" and my favorite "Bea Fraid" with the darling tiny skull and crossbones. These three grave markers would make a fun pop-up card, or Halloween scene card when combined with the Spooky Fence (FRA10505), Spooky Tree Half (FRA10504), etc. Approximate sizes: RIP gravestone: 2.375" x 2", Dee Compose gravestone: 2.1" x 1.875", Bea Fraid gravestone: 1.75" x 1.95". The sweet stitched horsey is so darling for baby cards. Standing at 2.75" x 2.125", he almost resembles a certain little pony. Perfect for a little girl's card, or a baby card too! This tall palm tree measures 2" wide x 3.125" tall. 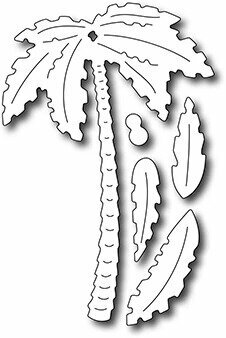 We've given you extra fronds to layer on the canopy and really give it full dimension. Also included is a set of tiny coconuts! 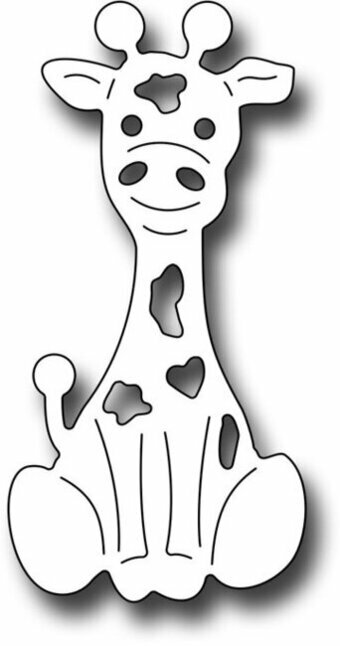 This tiny toy giraffe die measures 1" x 2". Our Frantic Stamper Precision Dies work in most consumer table top die cutting machines such as the Cuttlebug, Big Shot, Vaggabond, Boss Cut, and Grand Calibur. Some dies may require the use of a metal shim depending on your machine. We designed this die in conjunction with the Freeform Wave die (FRA10476) to create a modern twist on a US flag. But there are many other fun uses for it. First, you get a "flag field" shape (sort of a curved rectangle) measuring 2.25" x 2". Then, you get 2 stars, measuring 0.875" and 1.5". There are other uses for this die set. For example, put 2 flag fields side by side, and you have an open book. 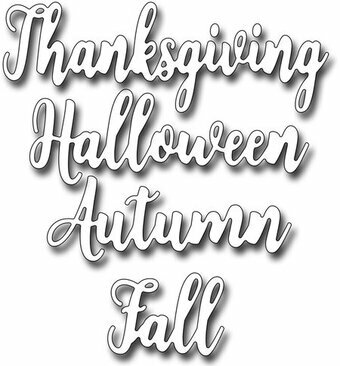 Perfect for all your Fall cards, this word die features a delicate handwritten script. 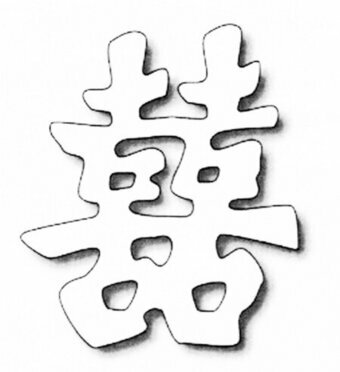 The word measures 3.125" x 1". Companion dies include "Spring" (FRA9803), "Summer" (FRA9804), and "Winter" (FRA9806), all done in the matching font. We've all seen the adorable cards made with a string "washline" and clothes hanging. So we took that inspiration to create this adorable set of 5 dies. The set includes a little ruffled dress (1.4" x 1.25"), tiny T-shirt (0.8" x 0.65"), itty bitty socks (0.5" x 0.4"), a jumper (0.7" x 1.5") and a darling duckie bib (0.7" x 1.25"). What a fun way to make a cute-as-a-button baby announcement! We wanted to make this cute little turtle super versatile so we gave him 2 shells to choose from. Use the standard shell for a "normal" turtle, or the heart shell to convey your love. Either way, this fun little guy measures 2.5" x 1.875". This beautiful ballerina in an arabesque pose measures 3.5" x 3.375". Our Frantic Stamper Precision Dies work in most consumer table top die cutting machines such as the Cuttlebug, Big Shot, vagabond, Boss Cut, and Grand Calibur. Some dies may require the use of a metal shim depending on your machine. Frantic Stamper Precision Die - Barbecue Tools (set of 4 dies). This die is for dad! The BBQ master!! This set includes 4 fabulous BBQ tools, each measuring approx. 0.5" x 2.5". Add them to our other BBQ inspired dies: Barbecue Grill (FRA9477), Barbecue Outfit (FRA9478) and Build-A-Burger (FRA9480). We also have the perfect clear stamp set to complement it with our Dressed To Grill stamps (FRAS004). Combine them all to create the perfect card for that grillin' dad! One of the most beautiful flowers in the garden, the hydrangea is a symbol of gratitude, abundance and prosperity, as well as grace and beauty. Because hydrangeas come in so many colors and shades, this 2" x 3.75" die (assembled size) will allow you to use your coloring skills to the fullest. The base design consists of 2 dies, the stem and the flower crown. The flower crown in itself had a lot of dimension due to the cutout petals you can pop up. We've also included a strip of small and medium blooms which you can shape and add to the crown for even more dimension and fullness. Our Frantic Stamper Precision Dies work in most consumer table top die cutting machines. Some dies may require the use of a metal shim depending on your machine. This set of 3 dies is perfect for creating your water scenes, be it at the lake or the ocean. 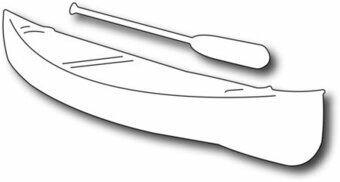 The set contains: a yacht (2.2" x 0.8"), speed boat (1.5" x 0.5") and sailboat (0.875" x 1.125"). 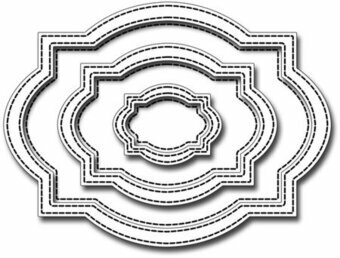 Frantic Stamper Precision Dies are made in the USA and will work with most leading table-top consumer die cutting machines. The Boanical Spray was inspired by vintage greeting cards and designed to be colored with your choice of medium. The large floral design gives you plenty of space to showcase shading, and the added little blossoms included will give depth to the overall piece. The Botanical Spray die measures 2.5" x 3.5" creating a nice sized focal point for a cheery and bright card. Our Frantic Stamper Precision Dies work in most consumer table top die cutting machines. Some dies may require the use of a metal shim depending on your machine. We're so excited about this set of edger dies. Here's how they work: The bracket edge die cuts a normal edge. Then, pick your favorite insert and place it within the bracket. With 1 set of dies, you can get 4 different looks! But that's not all, you can also use the inserts alone without the bracket edger for even more looks. 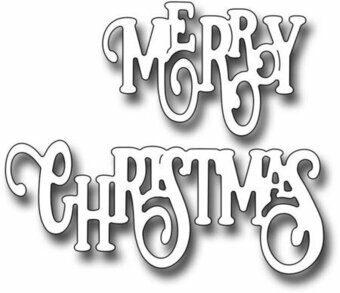 They will each cut in a "reverse" style, meaning that they leave the open design in your card front. There is so much you can do with this set of dies!!! The dies are all 5.5" long. Our Frantic Stamper Precision Dies work in most consumer table top die cutting machines such as the Cuttlebug, Big Shot, Vaggabond, Boss Cut, and Grand Calibur. Some dies may require the use of a metal shim depending on your machine. The canoe die measures 2.5" x 1". Also included in the set is a coordinating paddle die. Frantic Stamper Precision Dies are made in the USA and will work with most leading table-top consumer die cutting machines. Frantic Stamper Precision Die - Champagne glass + Cheers (set of 2 dies). Approx size: Glass - 0.5" x 2" and "Cheers" 2.1" x 1.1". This fun stitched colorblock die creates fun shaker cards, too! The die measures 3.5" x 4.75". When cutting the die, each opening rectangle will also cut with stitched lines, giving you double duty. As an added bonus, we've nested two versatile word dies. The "Hello" die measures 1.25" x 0.7", and the "Congrats" die measures 1.875" x 0.75". Our Frantic Stamper Precision Dies work in most consumer table top die cutting machines such as the Cuttlebug, Big Shot, Vaggabond, Boss Cut, and Grand Calibur. Some dies may require the use of a metal shim depending on your machine. Crayons add color to our lives. I still love playing with crayons to this day. Our crayon die comes in 3 pieces, and the finished size is 0.5" x 2.125". Frantic Stamper Precision Dies work in most standard table-top die cutting machines such as the Big Shot, Vagabond, Cuttlebug, etc. Our dies are made in the USA. This super sweet set of dies includes a large cupcake with 2 topping options, as well as a cake stand and small cupcakes to fit. There is also a birthday candle sized to fit the larger cupcake, and sprinkles! The cupcake stand measures 2" x 3.75". The larger cupcake measures approximate 1.75" x 1.8" assembled, while the smaller cupcake measures 0.55" x 0.5" assembled. Our Frantic Stamper Precision Dies work in most consumer table top die cutting machines such as the Press Boss, Cuttlebug, Big Shot, vagabond, Boss Cut, and Grand Calibur. A Day at the Beach isn't complete without building a sand castle, right? Well, we've got one for you, measuring 1.9" x 2" (not counting the little flag). To go with that, this set includes the sand pail (0.875" x 1.7"), and a beach ball (1.5"). Set of 5 nested dies you will need to snip apart to use. Create frames and card layers with a ragged edge. Sizes are 3.75", 3", 2.25", 1.5", and 0.75". Our Frantic Stamper Precision Dies work in most consumer table top die cutting machines such as the Cuttlebug, Big Shot, Vaggabond, Boss Cut, and Grand Calibur. Some dies may require the use of a metal shim depending on your machine. Frantic Stamper Precision Die - Dog Icons (set of 6). 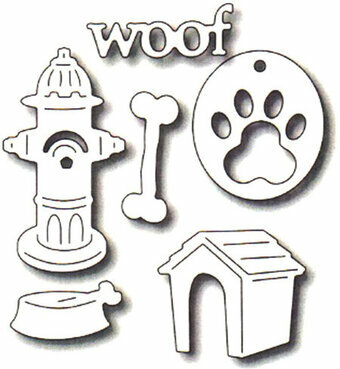 Set of 6 doggie icons include a fire hydrant, bone, small dog house, dish, dog tag with paw print and a tiny word "woof". The measure between 1/2" and 1.5". They are perfect for making a border on a scrapbook page, or even a card (how cute would a bone border be on a dog themed card?). 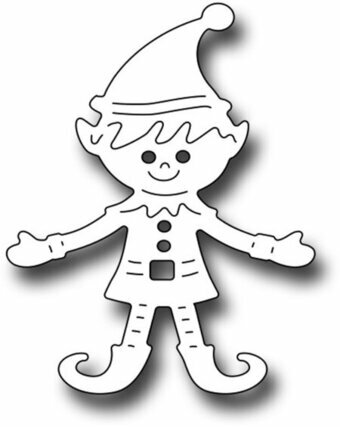 This sweet sleepy dolly cuts out in just one piece with all the detail cuts to help you color her. She measures 2" x 2.5" and has a lovely inlaid flower in her dress. What a cute way addition to a little girl's birthday card! This extra large doughnut die measures approximately 2.6" x 2.5" assembled. It comes with the base donut, a glazing layer, sprinkles, confetti, and a scalloped circle die that can be used to imitate a bite taken out of the donut. Our Frantic Stamper Precision Dies work in most consumer table top die cutting machines such as the Press Boss, Cuttlebug, Big Shot, vagabond, Boss Cut, and Grand Calibur. Frantic Stamper Precision Die - Double Loop Frames. 5 dies. This series of Elementals dies are sized to work with the Card Panels, and to create perfectly framed A2 sized cards. This beautiful set features 3 frames and 2 accent pieces in an elegant double loop pattern. The largest frame is 4.25" x 5.5", with an open space measuring 3-3/4" x 5" (perfect for any of the card panels). The next frame measures 3.25" x 4.5", and the smallest frame is 2.25" x 3.5". These smaller frames allows them to be used for layered cards, or to accent a stamped image. All are proportionally sized for perfect border width on an A2 card. As a bonus, you also get a matching small corner accent and a 1.25" square with the same pattern. The Egyptian Doll Clothes die set is designed to fit the Base Paper Doll body set (FRA10361). In this set, you will get 11 dies to dress the doll as an Egyptian boy or Egyptian princess girl. Add the Sphinx and Pyramid die (FRA10368) to complete your scene! Our Frantic Stamper Precision Dies work in most consumer table top die cutting machines such as the Cuttlebug, Big Shot, vagabond, Boss Cut, and Grand Calibur. Some dies may require the use of a metal shim depending on your machine. Frantic Stamper Precision Die - Elegant Blessings. 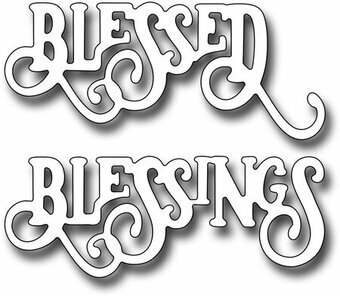 This set of 2 word dies works as a companion to our Blessings clear stamp (FRA081). The words "Blessed" and "Blessings" each measure 2.5" long and can be used in place of the words in the stamp set. The elegant styling of these word dies lends itself to many occasions from wedding cards to well wishes. Our Frantic Stamper Precision Dies work in most consumer table top die cutting machines such as the Cuttlebug, Big Shot, vagabond, Boss Cut, and Grand Calibur. Some dies may require the use of a metal shim depending on your machine. 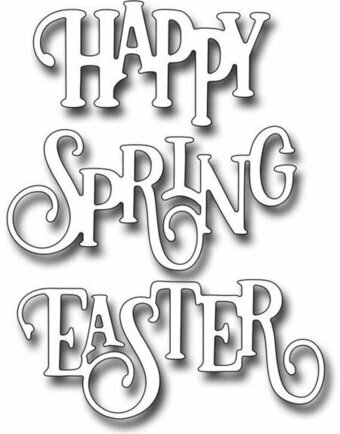 This set of 3 dies includes the words Happy (1.875" x 1"), Spring (2.375" x 1.125"), and Easter (2.5" x 1.125"), all done in our popular elegant font. Mix and match with some of our other "Elegant" words to create such phrases as "Easter Blessings". Our Frantic Stamper Precision Dies work in most consumer table top die cutting machines such as the Cuttlebug, Big Shot, vagabond, Boss Cut, and Grand Calibur. Some dies may require the use of a metal shim depending on your machine. Nothing says summer like a pink flamingo. 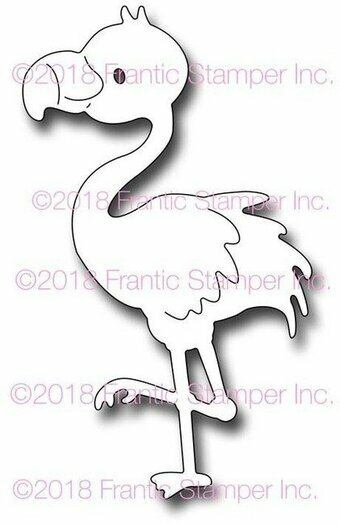 Flo the flamingo measures 1.75" x 3", and is ready to show off her pink-ness! This 3"x3" die cuts out several flowers all in 1 pass for ease of use. It is meant to coordinate with the Tall Stems die (FRA10118) to create dozens of fun flowers. But, you can also use it to make flower confetti for decorating tables, home decor pieces and much more. The flowers measure approx. 3/8" to 3/4" in size. You also get flower centers and teeny tiny leaves to layer! Our Frantic Stamper Precision Dies work in most consumer table top die cutting machines such as the Cuttlebug, Big Shot, Vaggabond, Boss Cut, and Grand Calibur. Some dies may require the use of a metal shim depending on your machine. Covering the majority of a standard A2 card front, this die makes quick work of creating a Spring floral card. Add coloring in your favorite medium to showcase the details of the design. This die measures 5" x 3.5". Also included are two sweet hummingbird dies, each measuring 1.25" x 1". Our Frantic Stamper Precision Dies work in most consumer table top die cutting machines. Some dies may require the use of a metal shim depending on your machine. We've designed a series of Mix-n-match flowers for you to create bouquets for every occasion. The series includes stems and interchangeable flowers, leaves and buds. This set of 4 dies features stems in different curves to help you create a natural bouquet. The stems measure 2-1/4" to 2-5/8" long. This delicate Flower Cart die evokes Spring of days gone by. The wheeled cart measures 1.8" x 1.75" and the frilly umbrella measures 1.5" x 2.25". You can position the umbrella where you wish on the cart, and add the optional little flower pot for even more variety. Our Frantic Stamper Precision Dies work in most consumer table top die cutting machines. Some dies may require the use of a metal shim depending on your machine. For all your cards to your mother, whether you call her mom or mum, we are offering you this set of word dies. Perfect for creating Mother's Day cards, or just telling mom how much you appreciate her. 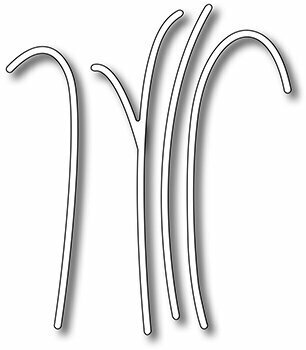 The word "Mother" measures approximately 2.75" x 0.65". The word "Mom" measures 1.75" x 0.625". 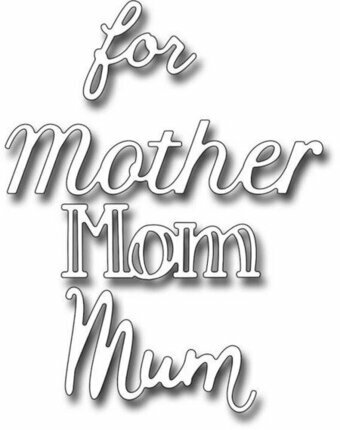 The word "Mum" measures 1.75" x 1". The word "for" measures 0.875" x 0.95". Our Frantic Stamper Precision Dies work in most consumer table top die cutting machines. Some dies may require the use of a metal shim depending on your machine. Frantic Stamper Precision Die - Lily of the Valley Card Panel. Features flowers in a background pattern. Size: 5" x 3.75". Have you tried your hand at the popular dimensional flower making craze? If you haven't yet, be sure to give it a try! Frantic Stamper brings you three blossom shape die sets that are perfect for cutting flowers from felt, thin flower foam, or paper, which you can mold and shape into beautiful dimensional flowers. This set of 3 dies includes a pointed-petal bloom in the following sizes: 2.125", 1.55", and 1.3" designed to layer beautifully. Our Frantic Stamper Precision Dies work in most consumer table top die cutting machines. Some dies may require the use of a metal shim depending on your machine.